You have probably heard the word galaxy or galaxies mentioned by loads of people who know a lot about them, or by your own parents or your science teacher. Let us get more into what galaxies are and why they are so important to the universe. Simply put, galaxies are huge collections of matter, possibly dark matter, dust, gases and of course stars, that are all bound together by gravity. All of these things are required to create planets, planets that also make up all galaxies. Or so we think! All of these things are vital in making up galaxies. There are many different types of galaxies, and many different shapes and sizes of these galaxies. These are all weird and wonderful places, with most of them yet to be discovered. The shapes and sizes of galaxies you now already know are different. There are many different types and shapes of galaxies which we will take about in a minute. The sizes of galaxies range from a few thousand light years across, which would be a small dwarf galaxy, to the biggest of about 300 thousand light years across. The smallest galaxies would have about 10 or 20 million stars in them, with the biggest about 5 hundred to 1 thousand billion. Wow! We know different galaxies and how many stars they have by their shape. 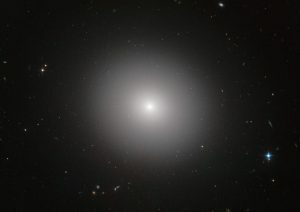 Elliptical Galaxies: Are ball or oval shape galaxies that are not very bright or colorful. 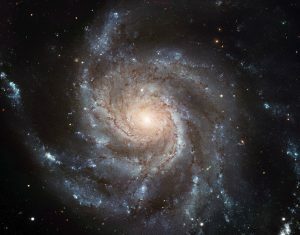 Spiral Galaxies: Are disc shaped galaxies with spiral arms. 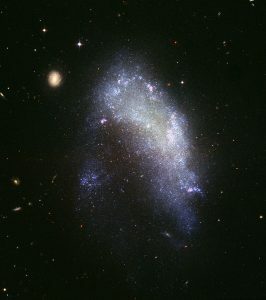 Irregular Galaxies: Are galaxies that have no regular shape or form. These are small galaxies that contain newly formed stars. Galaxies continue to be formed and grow. This happens through collisions and mergers. These events change galaxies shapes and sizes. Galaxies are not usually alone, forming clusters of galaxies. Creating galaxies that a grouped together called super clusters. Super clusters are the largest things in the universe. Most clusters contain thousands of galaxies. One of the smaller type clusters contains our galaxy. The Milky Way. Plus our neighbour galaxy. Andromeda. This small cluster is called the ‘Local Group’ that contains around 40 galaxies only. So while these galaxies have millions of stars, that’s a pretty small spec of an area in our universe. I told you this is fascinating stuff! Galaxies are essential for the universe, and are kind of accepted to be just there. So we need to get to know them and what part they play in our wonderful universe. 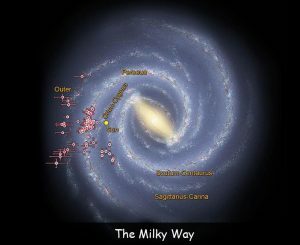 Click on the Milky Way Tab where you will get more detail on our galaxy. #1. There are somewhere in the region of 100 to 200 billion galaxies in the universe. #2. Through study of galaxies, scientists can confirm black holes. # 3. The forming of a new star in a galaxy at very fast pace is called a starburst. Q. Name two different types of galaxies? Q. 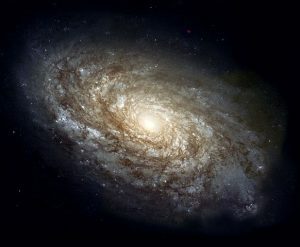 What is the nearest galaxy to the Milky Way? Q. 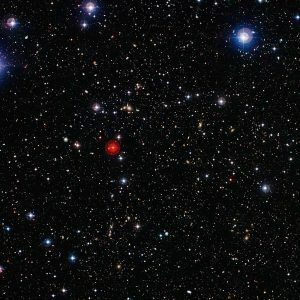 How many stars do the larger type galaxies have? Q. How many galaxies are in the local group? Q. The forming of a new star in a galaxy is called what? Key Vocabulary Matter. Dust. Stars. Galaxies. Gravity. Clusters.